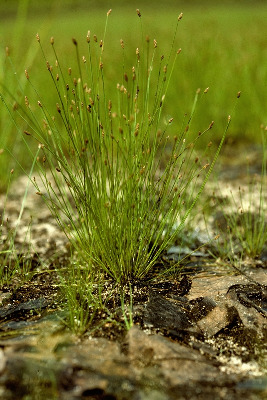 A small species of recently exposed peaty or sandy pond and lake shores. A rare Coastal Plain disjunct with only a few sites in the Great Lakes region. Our plants are var. filiculmis Torr., with perianth bristles ± equaling or even exceeding the achenes. Very rarely, robust individuals of this species may have one to several additional, short peduncled spikelets arising at the base of the terminal spikelet. MICHIGAN FLORA ONLINE. A. A. Reznicek, E. G. Voss, & B. S. Walters. February 2011. University of Michigan. Web. 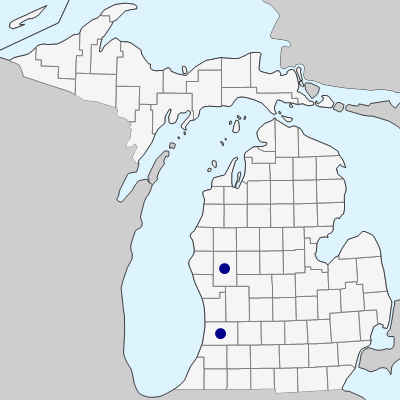 April 21, 2019. https://michiganflora.net/species.aspx?id=1111.